Last year, the ladies of SNSD / Girls’ Generation kicked off their 1st Asia Concert Tour titled “Into The New World” in Seoul. The girls have visited various countries in Asia over the past year on their tour and recently SM Entertainment revealed that SNSD would release their first live album titled The 1st Asia Tour “Into The New World” on December 23rd. The live album will have 2 CD’s and contain a total of 38 tracks with various songs the girls performed on the tour. 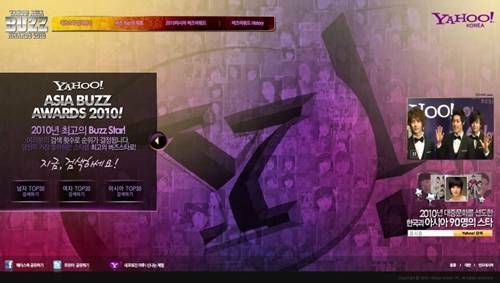 Recently, a preview revealing some audio samples for the upcoming album was released. The price of the album is 20,000 won (around $17.32 USD) and 16,000 won (around $13.85 USD) online. 1-02. 소원을 말해봐(Genie) – Rock Tronic Remix ver. SNSD’s music video for “Oh!” has been chosen as the most watched video of 2010 for YouTube Korea. The “Top 10 Most Watched Videos of 2010″ list was revealed through the channel “YouTube Rewind 2010“, which featured charts from every country. SNSD dominated the Korean chart, ranking in at first with “Oh!”, while “Run Devil Run” came in second, “Hoot” in ninth, and “Oh! (Dance Version)” in tenth. “Oh!” also managed to rank on Hong Kong’s and Taiwan’s 2010 chart, coming in at sixth and first place respectively. Meanwhile, “Run Devil Run” grabbed third in Taiwan and ninth in Japan. The girls are currently preparing special stages for the year-end episode on KBS 2TV’s “Music Bank“, airing December 17th. They took first last year on the show, and many are wondering if they will continue their winning streak this year. 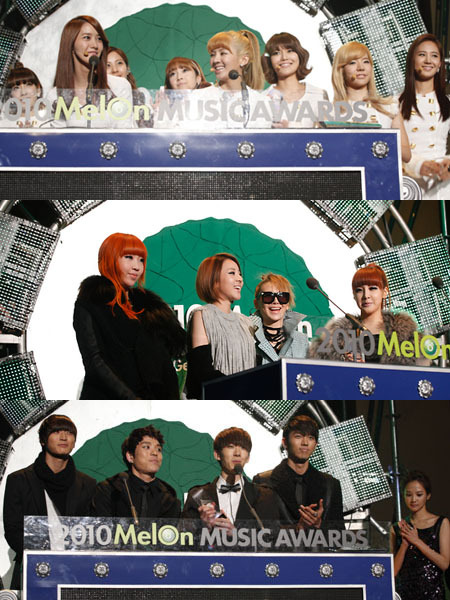 The 2010 Melon Music Awards was held on December 15th at the Hall of Peace in Kyunghee University, and many top K-pop artists were in attendance. 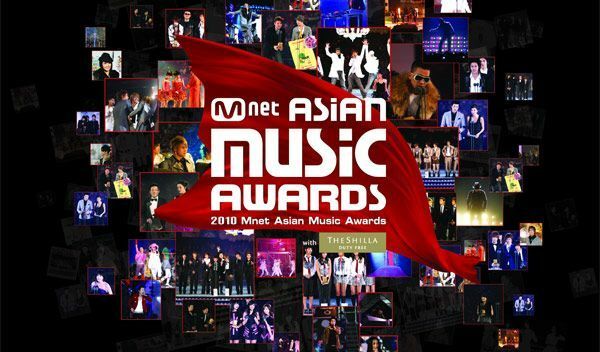 The awards show begun in 2009 and took its place as one of the big four music award ceremonies in South Korea, alongside Mnet Asian Music Awards, Golden Disk Awards, and Seoul Music Awards. 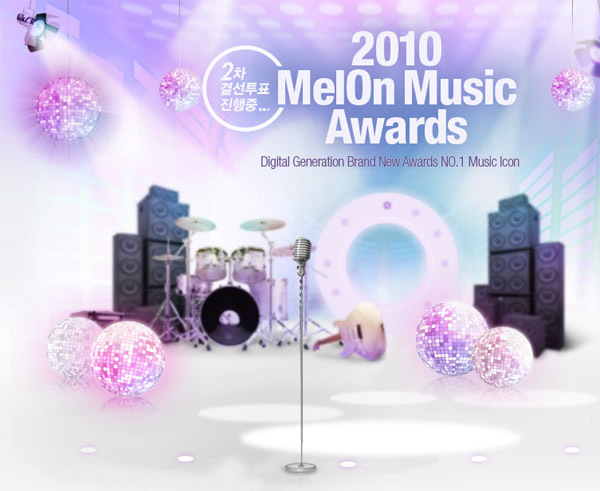 The awards ceremony is famed for calculating ONLY digital sales (80%) and online votes (20%) onMelon.com, and the final tally of those two factors will give the winners in the various categories. Below is the list of winners from this year’s show! Having just walked off with three awards from the ‘25th Golden Disk Awards‘ last night, the girls of SNSD girls added yet another prestigious award to their list of accomplishments. Earlier this morning, the group was recognized by the ‘2010 Proud Korean Awards‘ for their contributions to national unity and their positive representation of South Korea to the world. They were awarded as winners of the ‘Art Category’ by the Journalists’ Association of Korea. Members Hyoyeon, Seohyun and Sunny were present to receive the honor. The ladies of SNSD / Girls’ Generation officially debuted in Japan back on September 8th with the release of ‘Genie’ and ever since then, the girls have experienced a lot of popularity in the country. To further their promotions in Japan, the girls recently appeared in the latest issue of SPUR Magazine. The photo spread is titled “Girls’ Generation in Classic Mode” and they look beautiful as usual. Check out the photos below!